Sony has applied for a patent for a Kinect-like device that will create a "three-dimensional interactive gaming environment" for the PlayStation. Microsoft has taken the upper hand in the battle of the motion control systems, with Kinect for the Xbox 360 handily outselling the PlayStation Move. And even though recent reports indicate that Sony is closing the gap, it would appear that the company does see some merit in the Microsoft way of doing things. The company recently applied for a patent on a device that will generate "a real-time three-dimensional interactive environment" with the ability to "obtain depth values indicating distances from one or more physical objects in a physical scene" - in other words, a PlayStation Kinect. 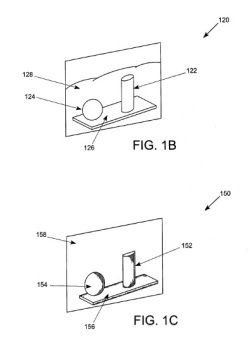 "Generally, embodiments of the present invention allow the user to be interactive with, and affect, computer-generated objects and environments that are combined visually with the user's actual physical environment," Sony wrote in the patent summary. "The method includes obtaining two-dimensional data values for a plurality of pixels representing a physical scene, and obtaining a depth value for each pixel of the plurality of pixels using a depth sensing device. Each depth value indicates a distance from a physical object in the physical scene to the depth sensing device. At least one computer-generated virtual object is inserted into the scene, and an interaction between a physical object in the scene and the virtual object is detected based on coordinates of the virtual object and the obtained depth values." But more interesting than the technical aspects of the filing is the implicit admission that the wand-and-button-based Move system, which Sony has always touted as inherently superior to the no-controller approach of Kinect, may not be all that and a bag of chips after all. "Such systems may include additional equipment that the participant is required to wear, such as arm coverings or gloves with integral, more easily detectable portions or colors, and/or visible light sources such as light emitting diodes. Unfortunately, such systems do not allow for the ease-of-use, quick response, and simplicity needed to provide a user input device capable of meeting marketability requirements for consumer items such as might be required of video game controllers," the filing says. "In view of the foregoing, there is a need for enhanced systems and methods that allow interaction in a three-dimensional environment. The methods should allow user interaction without requiring additional equipment, such as arm coverings or gloves," it continues. "In addition, the method should not require overly burdensome processing ability and should have the ability to function in real-time, thus providing the user with a natural computer interaction experience." The filing was actually made in October 2011 by Richard Marks, better known as the man who created the PlayStation Move and who expressed interest in the potential of the Kinect in an interview with Gamasutra last year. At the time, he said that 3D camera technology requires "a lot more fidelity to get the kind of control that you can already get out of the gamepad or Move." It's too late to take advantage of such technological improvements for the PlayStation 3, but a more advanced Kinect-like system for the next generation of PlayStation doesn't sound far-fetched at all.